The Amazon Mechanical Turk (MTurk) is a crowdsourcing internet marketplace that enables computer programmers (known as Requesters) to co-ordinate the use of human intelligence to perform tasks that computers are currently unable to do. It is one of the suites of Amazon Web Services. The Requesters are able to post tasks known as HITs (Human Intelligence Tasks), such as choosing the best among several photographs of a store-front, writing product descriptions, or identifying performers on music CDs.Workers (called Providers in Mechanical Turk's Terms of Service, or, more colloquially,Turkers) can then browse among existing tasks and complete them for a monetary payment set by the Requester. To place HITs, the requesting programs use an open Application programming interface, or the more limited MTurk Requester site. Requesters are restricted to US-based entities.Requesters can ask that Workers fulfill Qualifications before engaging a task, and they can set up a test in order to verify the Qualification. They can also accept or reject the result sent by the Worker, which reflects on the Worker's reputation. Currently, Workers can have an address anywhere in the world. Payments for completing tasks can be redeemed on Amazon.com via gift certificate (gift certificates are the only payment option available to international workers, apart from India) or be later transferred to a Worker's U.S. bank account. Requesters, which are typically businesses, pay 10 percent of the price of successfully completed HITs to Amazon. Can I create a HIT that may contain explicit or offensive content? Include the following phrase in your HIT title: "(WARNING: This HIT may contain adult content. Worker discretion is advised.)" Require that Workers have the Adult Content Qualification in order to work on your HIT. This qualification requires Workers to acknowledge that they are over 18 and that they agree to work on potentially offensive content. You can set this requirement during the Design step on the Requester web site or via the developer tools. Require that Workers have the Adult Content Qualification in order to preview the HIT by checking the "Required for Preview" box in the Design step on the Requester web site or via the developer tools. Are there restrictions or prohibited uses of Amazon Mechanical Turk? What are some specific examples of HITs that violate Amazon Mechanical Turk policies? Taxes: "Amazon Mechanical Turk prompts you for tax information when you have reached a certain threshold in lifetime earnings. 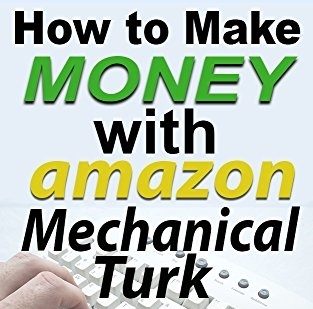 Amazon Mechanical Turk collects your tax information and provides it to Requesters in the event you reach the IRS tax reporting threshold with any Requester. They collect this information once, so you do not need to supply this information to Requesters. If you do not provide the required information, you will not be able to continue working on Mechanical Turk." Bonus Payments: "A bonus is an additional grant of money from a Requester. A Requester can choose to pay a bonus in addition to the stated reward for completing a HIT. Bonuses are granted at the Requester's discretion and are usually paid to Workers who do particularly good work"
Indian Rupees? :"If you are a Worker in India, you can elect to receive a check for your earnings in Indian Rupees. You will need to provide your birth date, passport number, Electoral Photo Identity Card (EPIC) number or Permanent Account Number (PAN). A scanned copy of your passport, EPIC or PAN card is also required. All the information you need to sign up to receive payments denominated in Rupees is provided on the Account Settings page.It takes 14 days to verify your card information once it is submitted. Once they have verified your information, you'll be able to withdraw your earnings in Indian Rupees. To request a withdrawal, go to the Account Settings page and follow the instructions. Your check is mailed within 6 weeks to the address they have on file." Requesters can evaluate a HIT you've submitted in many different ways. Some are automated and others require manual review. Because Requesters may use any method they prefer, we're unable to estimate how long it will take for your submission to be approved or rejected. However, the maximum review time allotted for any HIT is 30 days from the date of submission. If the Requester hasn't reviewed your work at that time, it will be automatically approved.